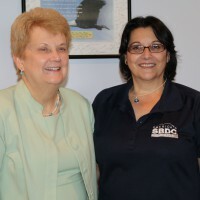 Nancy Crews, Ph.D., started working with the Florida SBDC Network 18 years ago, with just an idea and licensing in hand for her new business, Custom Manufacturing & Engineering (CME). CME, started in Pinellas County in March 1997, specializes in electrical and electronic engineering design and manufacturing, particularly for the Department of Defense. Over the years, Crews has used a variety of Florida SBDC Network services. “I reached out to them to help me when we became an 8(a) certified company. I’ve worked with them over the international marketing space looking at international markets and how we might go forward, and I look at them from time to time for educational opportunities too,” Crews said of her involvement. In addition, the company received a Growth Acceleration business assessment, which includes an in-depth financial review of the business by credentialed consultants. Being a company that deals primarily with the defense industry has been a challenge for CME in recent years. “It’s an industry that is undergoing a lot of changes with sequestration and budgeting issues, which makes it very difficult for everyone in the defense business, but particularly for small businesses that are 100 percent defense, so we have been looking at diversifying the business,” Crews said. This, in part, is what has the organization focused on possible international expansion, and led to the creation of an Export Marketing Plan from the Florida SBDC at University of South Florida. Since then, Crews has participated in networking events to educate herself on foreign business cultures, as well as participated in two trade missions – one to Canada and the other to Chile. Crews said she realizes as a small business owner, she would’ve been hard pressed to meet with as many companies in those foreign markets as she did, had it not been for the resources of the Florida SBDC Network, Enterprise FL, and U.S. Commercial Services. "There are a lot of resources out there for small businesses and I would recommend that no matter what your strategy, whatever your business model is, that you avail yourself to those capabilities."